Molly Murphy manages NMYO’s digital and social media presence. 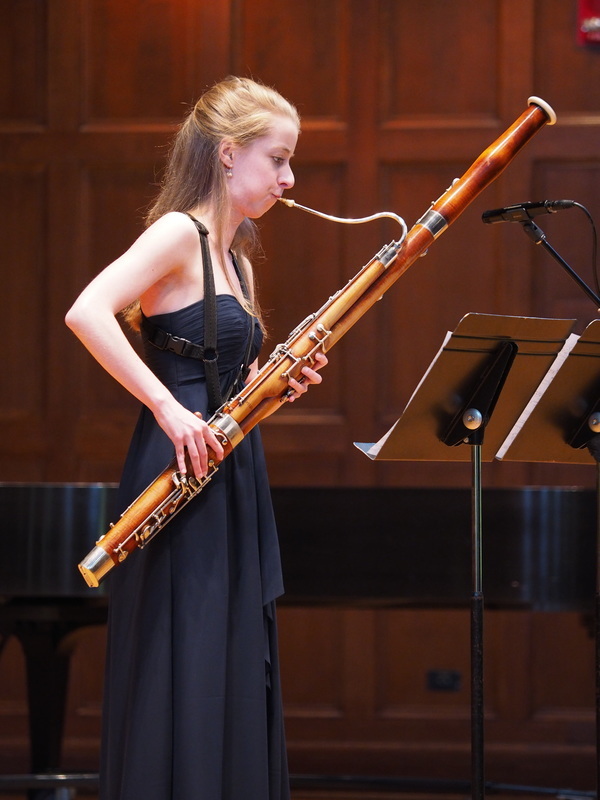 As a bassoonist Molly is an active and versatile musician. As an orchestral player, she has performed with the Louisiana Philharmonic Orchestra, Baton Rouge Symphony Orchestra, Colorado College Summer Music Festival Orchestra, the Oberlin Orchestra, and the Castleton Festival Orchestra and has played such venues as Jordan Hall, Symphony Hall (Boston), and La Maison Symphonique (Montréal). She was a finalist in the 2016 Meg Quigley Vivaldi Competition and a bassoon fellow at the 2016 Aspen Music Festival. She has performed with inspiring soloists such as Alisa Weilerstein and Sir James Galway. In 2012 - 2013 Molly collaborated with Oberlin Conservatory Professor George Sakakeeny on an eBook entitled Making Reeds from Start to Finish with George Sakakeeny, available now in the iTunes bookstore. A native of Ipswich, MA, Molly graduated high school from the Interlochen Arts Academy and earned her Bachelor of Music degree from Oberlin Conservatory where she was inducted into Pi Kappa Lamda music honors society. She is currently a graduate teaching assistant in the bassoon studio of Louisiana State University.